﻿THERE IS ONLY ONE, AUTHENTIC ﻿SunniBunni!!!! Want it delivered? No problem! Contact Bite Squad or Grubhub they will be more than happy to deliver your SunniBunni! 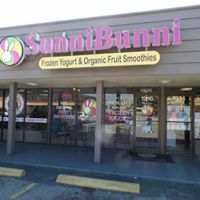 SunniBunni and the SunniBunni logo are registered trademarks of SunniBunni and its owners. All other SunniBunni trademarks, service marks, domain names, logos, or company names referred to on the Sites are either trademarks, service marks, domain names, logos or company names are otherwise the property of SunniBunni. In countries where any of the SunniBunni trademarks, service marks, domain names, logos, company names are not registered, SunniBunni claims other rights associated with unregistered trademarks, service marks, domain names, logos, trade name and company names. You may not use any trademark, service mark, domain name, logo, company name or trade name of SunniBunni or any third party without permission from the owner of the applicable trademark, service mark, domain name, logo, company name or trade name.